Palawan dubbed as the Last Frontier of the Philippines is the home of many dive sites, majestic tourist attractions, a very exciting and extreme adventure awaiting visitors to choose from. With its naturally and ecologically preserve resources, beauty is truly amazing which you would want to go back over and over. 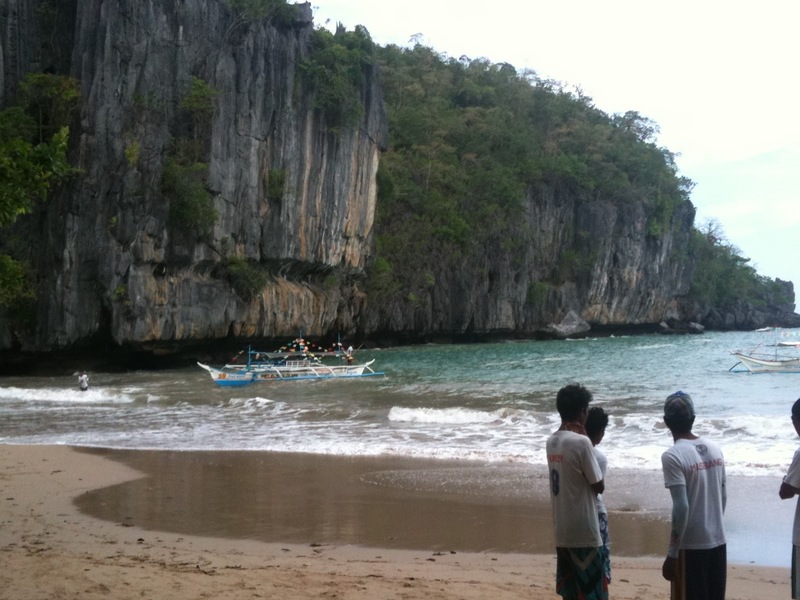 In fact, most places in Palawan are now gaining worldwide recognition. 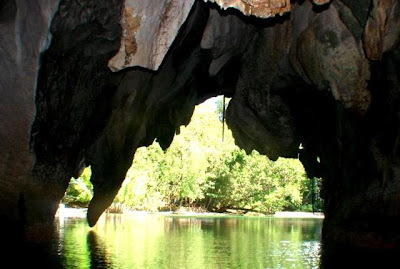 Among those places is now the famous Puerto Princesa Subterranean River National Park or known as the The Undergound River. 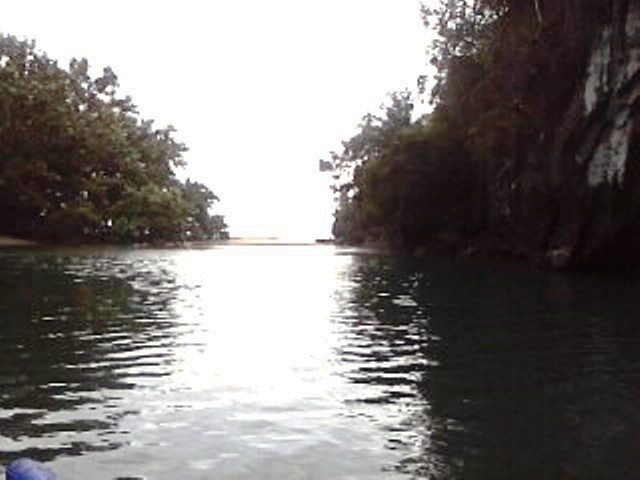 We truly enjoy this wonderful tour at the Underground River. The subterranean river itself cuts through a cave strewn with stalactites, stalagmites, columns and all manner of cave formations. The park was declared a premier ecotourism destination and has been inscribed in the UNESCO World Heritage lists for its outstanding universal value and ecological significance as a natural site of intense beauty. Because of this, many private organization and environmental agencies have joined effort in helping, preserving, promoting this natures beauty.It is also listed in the New7Wonders of Nature. One thing also in Palawan is the unique hospitality of people. Everybody from tricycle driver to vendor knows how to welcome tourist and can give insights and history of places you would want to know about. 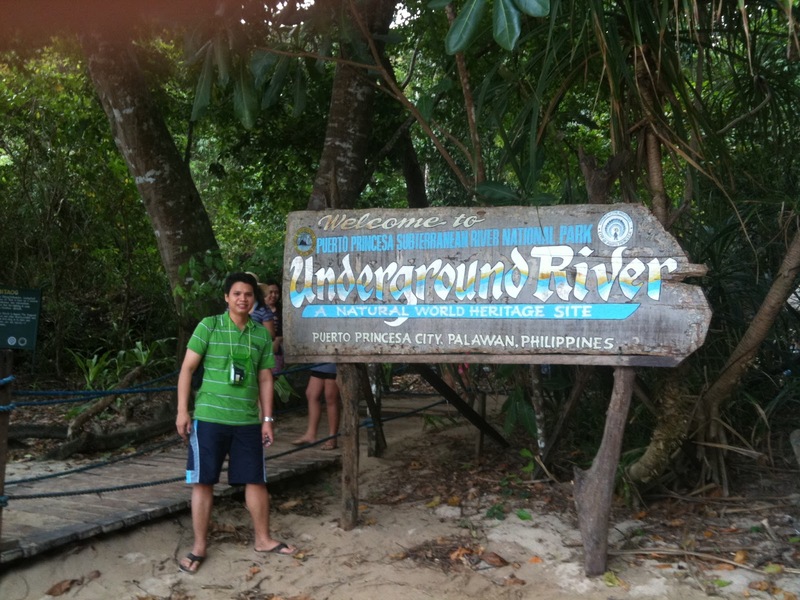 In fact our tour guide at the underground river is the mano of the banka. He is very well trained and knows how to communicate without us getting bored of the tour. Unlike other places, this one is unique and you will be impressed about the way people treat you as if you're at home. After the underground river tour we headed for lunch at the Sabang beach then preceded to the Ugong Rock located at baranggay Tagabinet, a few kilometers away from the undergorund river. 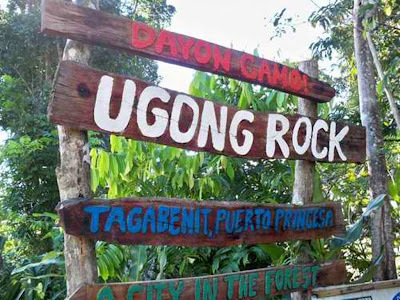 Ugong Rock is a 75 foot limestone formation in the middle of a rice fields or described as the forest growing on limestone. At first we are hesitant to do the spelunking because we have our daughter with us, she is 7 years old and we are afraid she might get scared going down the zipline. Brave enough my daughter said she can do it. Our tour guide and the locals also assured to assist her to go up. 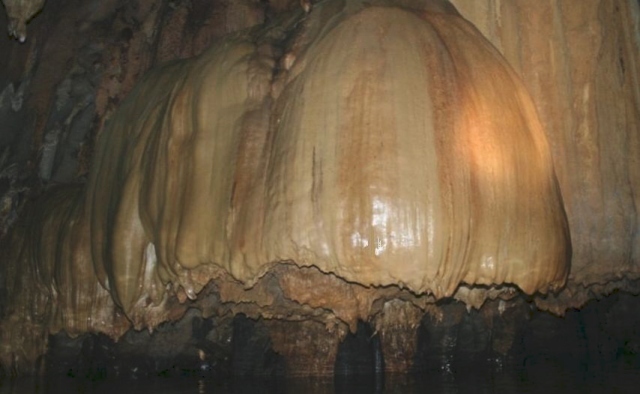 The tour consists of an hour or less walk through narrow cracks and caverns, climbing up ladders, and squeezing through narrow holes and crevices. Intense feeling does not stop upon reaching to the top, because going down is not as easy if you choose the same way as you go to the top. 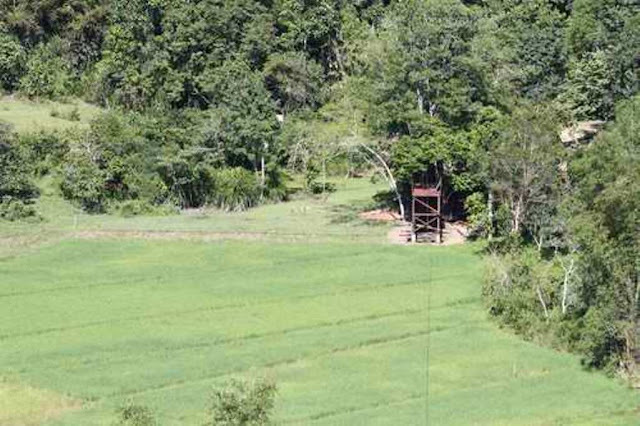 But luckily there is a zip line awaiting if you want to go more extreme. Our concern is our daughter because zip line can only accommodate 1 person at a time. At first she is hesitant to do it but as I told her that I will go first and will be waiting for her at the ground, so she did it. People next in line are dumbfounded about the bravery of my daughter to do the 75 foot tall zip line alone even our driver and tour guide are happy to see my daughter smiling upon reaching to the ground because my daughter smiles as she was tickled upon going down. All of us who are grown ups are somewhat nervous about the thought of going down thru zipline but we're so proud of our little girl that she somehow manage to survive it with pleasure.